We are on Day 3 of Previews for the MAY Release. This month we are introducing 4 brand new sets. Previews for our 4th set will go live on Monday so you'll have to wait a couple of days to see it! Don't forget, you will have a chance to win all 4 stamps on the 15th when we have our Blog Hop. Todays set is called S'MORE FUN. My family are big into camping so this set is just perfect for us!! We have one more set to preview on Monday before these sets go live in the Store on Tuesday, May 15th. We will also have our Blog Hop on the 15th where one lucky person will take home all 4 sets!! Our hop is small so be sure to play along. 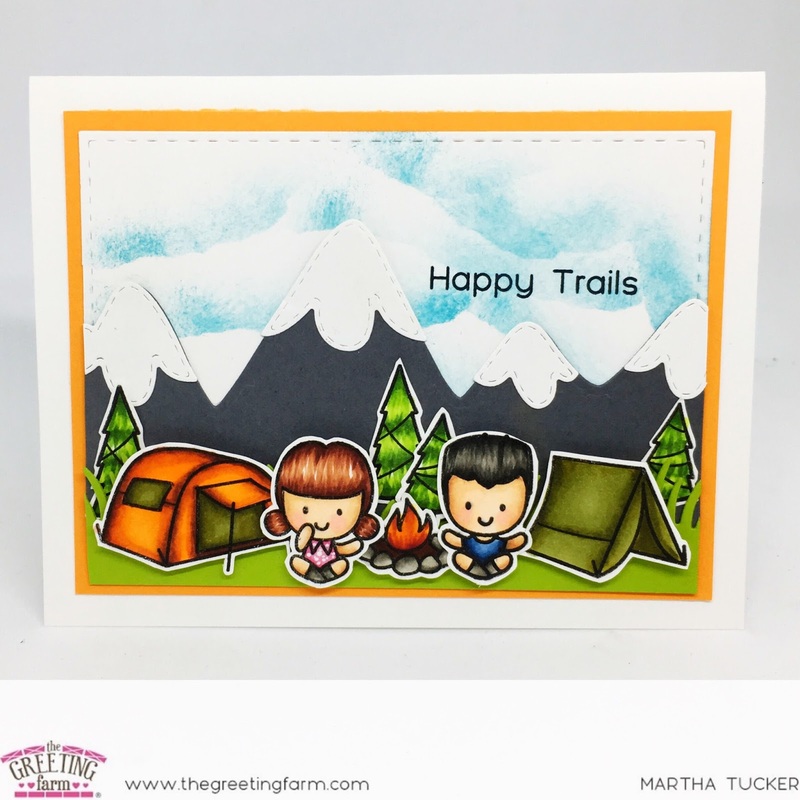 The Greeting Farm May New Release Blog Hop!! !